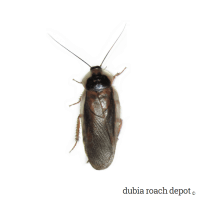 Our adult male Dubia roaches are strong breeders, naturally. They’re fit, fertile, and ready to fulfill their primal duty. But many people don’t know males also make excellent feeders. Just because they aren’t necessary in large numbers for breeding doesn’t mean they’re any less nutritious. We haven’t found any research suggesting otherwise, and we suspect they’re only less expensive because they’re more plentiful. We treat all nymphs the same. 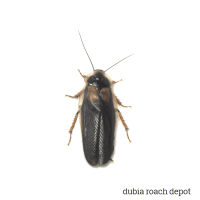 All our Dubia roaches are raised with the same attention, care, and access to nutrition. We love them all the same, and the animals that eat them seem to really love them too! Amazed at how fast my order arrived. Excellent quality and size, oh and you can’t beat the price. The only site I will order from now. Flat Horned Hisser was my first order. Thank you.